We talk a lot about the importance of fat as it is a backbone of a healthy diet. As you know, there are good quality and poor quality fat sources. Unhealthy oils such as soybean, canola, corn oil, and many “vegetable” oils can create inflammation and damage to our body, especially our immune and digestive systems. These polyunsaturated fatty acids (PUFAs) contain many double bond carbons which are pro-inflammatory and highly rancid. This is why we must, instead, focus heavily on high-quality, healthy fats such as avocado & avocado oil, coconut & coconut oil, organic nuts and seeds, ghee, grass fed butter, olives & olive oil. However, sometimes whether we have been including healthy fats in our diet, or are just starting to, we can have trouble breaking them down properly, leaving us feeling a little…well…uncomfortable. This can also be true if we have pre-existing digestive issues, including having the gallbladder removed. Fat malabsorption or steatorrhea is typically due to insufficient pancreatic enzymes, inadequate bile production, or a congested or “sluggish” liver. Insufficient Pancreatic Enzymes: Our pancreas is a most amazing organ, it secretes digestive enzymes protease, amylase, and lipase into our small intestine which helps break down protein into amino acids, carbohydrates (starch) into sugar molecules and lipase which helps break down fat molecules. If we do not have adequate pancreatic enzymes, we may experience all the signs of fat malabsorption including indigestion and smelly stools. While working on optimizing digestion through a root-cause approach, we can support the digestive system by supplementing with pancreatic enzymes. This has been a game-changer for not only me but also many clients. Bile or Gall Bladder Health: The gallbladder is a pear-shaped muscular organ which sits right next to your liver and is essentially the storage tank for bile. The primary job of the gallbladder is to store bile, which is secreted by the liver and supports the body in digesting lipids. Bile is composed of cholic acid, which supports the breakdown of water and fat molecules. Bile acts as a key factor in the absorption process of fat-soluble vitamins such as D, E, K and A. Addressing gallbladder health is especially important if it has been removed. If there is no bile being produced, fat is poorly digested and often not absorbed well. We can support the body by taking enzymes which include ox-bile. Ox-bile is great to use if you have had your gallbladder removed or when you are adding more fat to your diet, so you do not congest both the gallbladder and liver. Congested Liver: Our liver has many vital functions, detoxification of toxic chemicals from both inside and outside of the body, such as skin products, food waste, alcohol, and medications. The liver is responsible for the production of bile and is a key player for digestion as it helps break down nutrients. It also stores many vitamins, such as Iron, B12, and fat-soluble vitamins such as vitamins A, D, E and K.
Stimulating the phase 1 pathway is critical as it neutralizes toxic chemicals and metals and helps break them down into smaller molecules through the enzyme called P450 enzyme. Certain environmental toxins (such as alcohol, dioxin exhaust fumes, nicotine, paint fumes and pesticides) can induce phase 1 detox while certain drugs (medications such as stomach-acid secretion blocking drugs and benzodiazepines for example) or botanicals (curcumin and capsaicin from chili pepper) can inhibit phase 1 detox. Curcumin is extra special as it can be beneficial in inhibiting the activity of cancer causing chemicals, while also increasing their detoxification and elimination. Nutrients which are required to stimulate Phase 1: B Vitamins (especially B12, Niacin, B6), Glutathione, Antioxidants, and vitamins C and E.
Foods which activate Phase II: Amino acids, Sulfur-containing amino acids (NAC, Taurine), amino acid foods such as eggs and sulfur-containing phytonutrients such as shallots, onions, and garlic. Remember, quality counts Choosing the right kind of healthy fats is so essential, as your body can easily break down and digest the correct sources of fats (grapeseed oil, avocado oil, coconut oil, ghee and grass-fed butter, flax oil, olive oil and hemp seed oil). Avoiding hydrogenated fats and oils, which are highly oxidized and very damaging to the immune and digestive system is an essential component of any healthy diet. Include bitter foods such as dandelion greens, or try Urban Moonshine bitters, which is a cholagogue, a medicinal agent that helps to stimulate liver secretion and bile flow. Here you can purchase Urban Moonshine Bitters. 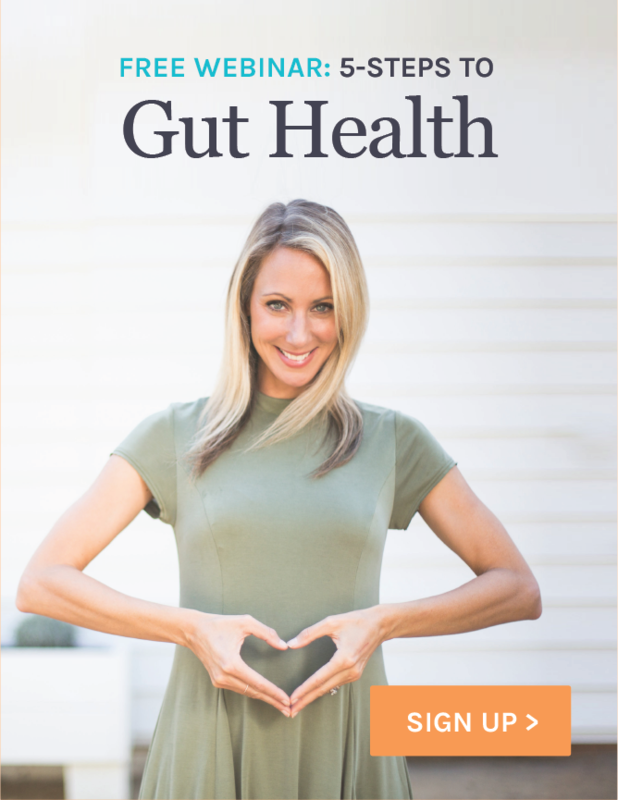 Incorporate Lacto-Fermented Foods, which are naturally rich in probiotics and help support proper bacterial balance within the microbiome and also help stimulate the production of digestive enzymes. Fermented foods can also help with the production of hydrochloric acid (HCl) which naturally decreases with age. 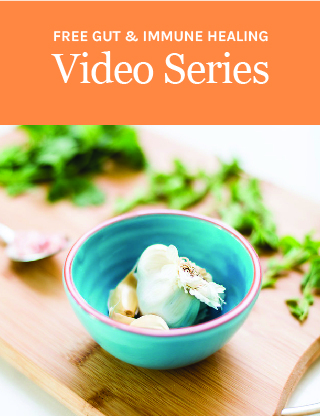 We have an entire blog dedicated to fermented foods here. Stimulate bile production through raw carrots, beets, green apples, ginger, black radish and lemon water; artichoke leaf extract can also help stimulate bile flow and support motility. Omega-3 Fatty Acids, such as fish oil have been shown to block cholesterol formation in bile. Taking fish oil on a regular basis can be supportive against gallstones. Use Essential Oils, such as peppermint, rosemary, and ginger mixed with a carrier oil (we love coconut oil or almond oil) and rubbed directly on the stomach and gallbladder area. Supplements such as Pancreatic Lipase or a combination formula such as Digestzymes or Digestion GB (This product incorporates digestive enzymes and ox-bile, which is especially great if you do not have a gallbladder!). Proper fat digestion relies on several different factors. Healthy bile production from the liver, healthy bile flow, healthy gallbladder stimulation, and adequate detoxification all contribute to a healthy functioning body! Leave a comment (if you’re brave enough ;)) and let us know how you digest fat and what has helped you! Christa, How do I purchase your Gut Thrive Digestzymes that I used? The formulations have seemed to change, when I go to buy more. I have fat malabsorbtion for over 2 years now and nothing has helped so far. I tried digestive enzymes wit hcl and ox bile but that made my stomach ulcer worse. I also have Hashimotos and I am not sure if one is connected with the other, but I have lost lots of weight and look malnourished. What else can I try? Thanks for writing up this article. It’s a great resource for clients. I was a little confused in the part where you said that curcumin inhibits phase two detoxification and then talked about it’s detox capacities. Am I missing something here? Any clarification appreciated since I have always thought of curcumin as supporting detox effectively. Great episode! Once you start taking digestive enzymes do you have to keep taking them? Or does the body benefit and improve from taking them for a time period before stopping? Hi Audrey, we typically recommend using them for a period of 8-10 weeks and seeing how you feel at a reduced dose. If you feel you tolerate the reduced dose well, then you could finish the bottle and just use them on a case-by-case basis, such as a larger meal or special treat. Audrey- these are the best enzymes I’ve ever tried! And I’ve been taking them for a few years now. I went through 1 bottle, taking them mainly when I ate grains or a heavy meal, then ordered a 2nd bottle. Now, I almost forget to take them b/c my body is digesting things much better! And it only takes 1 enzyme, not 2 or 3 like all the other brands! You answered my question! Thank you so much, I am going to try these suggestions. My worst issue is dry skin….all. the. time. Hopefully this helps! Thanks so much Christa and team for all you do! So happy to help, Jenna! Hi I did your 7 day detox diet and now I am finding that my stool is floating is it from eating regular food again or do i need to add the digestive enzymes? Parasites are another cause of fat malabsorption as I can attest to from personal experience. I would love that too. Great suggestion!!! My daughter’s gallbladder removed about 8 years ago, right after the birth of her 1st child. After the birth of her second child she experienced extreme nausea, and virtually nightly would vomit. She was having to eat avocado toast every night as she was very hungry, and she didn’t get an upset stomach from it. Followed up with tests; her stomach was full of bile for the upper endoscopy with an 8 hour fast. Does she need to work on her flow? Would you take one or the other type of enzyme (does the Digestyme or GB also help pancreas?)? I eat a high fat diet and definitely experience so many of these symptoms; thank you!! Thanks for the video! When do you take the bitters? Before or after food? What about taking the pancreatic enzymes and digestive enzymes during pregnancy? I am confused, you are saying botanicals such as curcummin inhibits phase I of liver detox, but then state that this botanical is very important to cleansing? Is an occasional floating stool a symptom of fat malabsorption and something to worry about? I do experience this sometimes but not regularly. Normally only once every two/three weeks. I was confused by the statement on Curcumin as well. Is it good or bad for detoxing? Thanks of the blog. Timely article. I follow a ketogenic lectin free lifestyle. My lower intestines were full of bile shown on a colonoscopy. Thoughts? Not sure which supplement would help. Dr. just wanted to put me in RX. Severe bloating which is getting better but still on and off. Thanks Christa, as usual, very timely info!